Tips for Keeping your House Warm for Less. In 2016, the average cost for heating a three bedroom home via non-condensing gas was €1,586 and €2,448 for non-condensing LPG. This kinds of prices can really have an effect on our wallets. What else can we do to help keep our house warm? Replace an old gas boiler. After 15 years, a gas boiler’s efficiency could have dropped to 70% or less. To save money on our heating bills, we should consider replacing an old gas boiler – even if it technically still works. Find your nearest gas boiler replacement service. 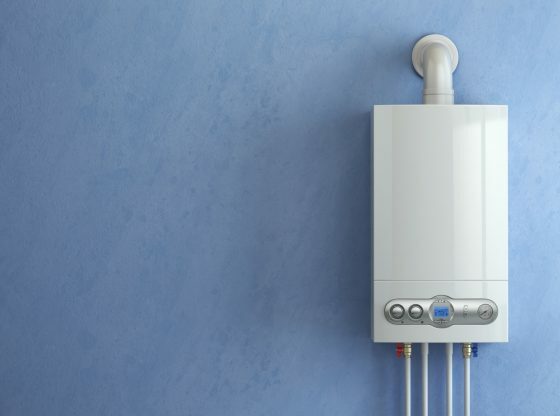 If you are considering replacing your boiler, you should switch to a condensing gas boiler as it is greener and safer for your home. It is also at least 25% more efficient. Block out draughts from windows & doors. As obvious as it may seem, many of us don’t properly block draughts in our house. Old windows and doors may have gaps that we don’t even realise are there, so we should use foam strips or the likes to seal these up. Alternatively, paying a professional service to draught-proof a house would be cost-efficient in the long run, as foam strips may not last long. Find draught proofing near you. Reflect radiator heat into the room. By placing tinfoil covered boards (or similar material) down the wall side of radiators into the room, we can help to prevent heat being absorbed by the wall by reflecting it out into the room. Leave the blinds/curtains open during the sunny hours of the day to heat up the room. Make sure to close them at night though, as heat can escape easily through windows. Use heat from the oven. After the oven has been turned off, try leaving the oven door open to let the heat escape into the kitchen. This could make a significant difference for small kitchens during meal time. Be aware of the hazards of this, though. Sources: Grantengineering.ie, Gasservices.ie and Greenmatch.co.uk.